February 18, 2016 – The Greek legend of Sisyphus tells the tale of a king condemned to roll a boulder to the top of a mountain, then watch as it rolls back to the bottom, and repeat the task for eternity. That might be an apt way to describe Compass Box founder John Glaser’s ongoing battles to add creativity and ingenuity to Scotch Whisky, only to watch as his boulders keep rolling back to the bottom of the hill. Now, Glaser and his team have started rolling the boulder again, this time with not just a Sisyphean goal, but perhaps one of Herculean proportions: getting the UK and the other 27 European Union member countries to agree on a change in the way Scotch Whisky age statements can be defined to allow for more transparency. 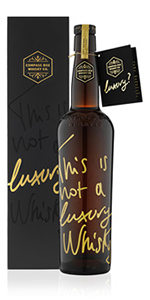 The issue stems from last year’s controversy over two Compass Box blended malt whiskies: the 15th anniversary release of Flaming Heart and “This is not a luxury whisky.” The original descriptions for both whiskies included complete details on each of the component whiskies in each blend – including the ages, which violated UK and European laws that allow only the age of the youngest whisky in a bottle to be disclosed in packaging or marketing materials. After a competitor tipped off the Scotch Whisky Association, officials with the trade group advised Compass Box to remove the age information from its marketing materials or risk potential legal action. The SWA has no enforcement power of its own, and any action would have to have been initiated by HM Revenue & Customs or regulators in another EU member country. Glaser and his colleagues revised the marketing materials for both whiskies, while pledging at the time to fight for increased transparency in Scotch Whisky labeling. Today, they took that fight to the whisky community with an online petition drive aimed at persuading the European Union to change the current regulations to allow whisky producers the option to provide full disclosure on the component whiskies used in a specific product. 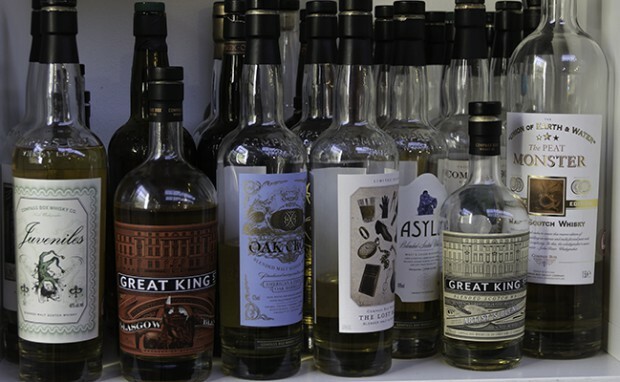 “We’re just hoping to generate awareness of the issue, generate significant numbers of people saying ‘we think this is a good idea, Compass Box, we’re behind this’ so that we can, in turn, show the powers that be, if you will, that this is something that ought to be addressed,” Glaser said in a telephone interview. The petition campaign on the Compass Box web site suggests specific amendments to current EU regulations that would give whisky makers what Glaser describes as the “freedom, but not the obligation” to provide specific details on age and other characteristics. In response to the Compass Box campaign, Scotch Whisky Association CEO David Frost issued a statement noting that the group’s role is to explain the current rules so that whisky producers can comply. Frost’s statement also suggested that Compass Box’s argument might have been better addressed within the industry. While the regulations would have to be changed at both the European and UK levels, the European change would have to come first as EU law overrules national laws in this area. That change would require approval from all 28 EU member nations, and could also create conflict between Scotch Whisky producers and other makers of aged spirits who might well demand they be included in any change. Glaser hopes to stay out of the political debate over the argument, even as his company hopes to jump-start that debate. Editor’s note: This story was edited to add audio from our interview with John Glaser. I’m in two minds about this. As a whisky enthusiast I’m always keen to know more about what I’m drinking. There’s always been information about what is in a blend – a mix of rumour and label information for the most part – but to go to the level of ratios and whisky ages can only be a good thing. However, I worry about how more knowledge affects how consumers choose and drink whisky – and how some blenders may seek to manipulate this. If recipes are widely available then might consumers start picking blends with the oldest or most well known component parts? Might blenders feature some malts more boldly to make their blends more appealing? A dash of something very old or rare would certainly add some cache, even if there’s no overall age statement. Bruichladdich have also come out in support of transparency for their NAS single malts, which again I support and I think informing the whisky drinker should applauded. Will we see a focus on batch numbers becoming prized and collected, or will it just be an interesting curiosity? Transparency, whether for blends or malts, has its significant positives. It’s important to consider how this may be mis-used and ensure it is done in the spirit it is intended.